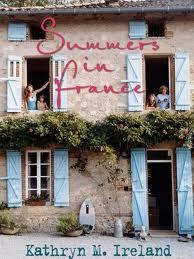 Summers In France is a fabulous read. Along with photos of gorgeous interiors, there are recipes, tips on how to be a gracious hostess and guest, and information about the amazing markets near Ms. Ireland’s summer home in the Tarn-et-Garonne region of Southwestern France. I really appreciated the before and after photos. Ms. Ireland has taken a rundown farm house and turned it into a wonderful home. If you’ve seen Ms. Ireland on the show “Million Dollar Decorators”, you know she has a very vivacious personality. This comes through in the book. It’s clear she loves to entertain and to make her guests feel at home. The house is beautifully decorated but there is nothing stuffy about it. It’s not easy to pull off the combo of comfortable yet chic. I’ve flagged quite a few pages in this book. Sigh, I cannot wait until I can have my own home in the countryside. I just read that there will be a second season of Million Dollar Decorators. Cannot wait. I agree with you regarding Ms. Ireland.